Writing graphic organizers are lifesavers with my students. Some students sit and write a paper. Other students need a bit of guidance. Another part of the class will enjoy writing papers. Normally, those students know how to outline or know how to accomplish their goals. This post is not about those students. If you have students who struggle with brainstorming ideas, visualizing the end result, and worry about their writing, graphic organizers will help them. I’m going to explain how I create them (and you can too! ), why I scaffold them, and where I’ve seen growth. I use numerous rubrics, but overall, the traits of writing cover expectations for papers. Before we begin researching or brainstorming, I outline the traits of writing with my students. Doing so sets the foundation, and I sharing my goals with my students sets the attitude for our collaborative work. I stress brainstorming because the more ideas students understand, the richer their papers become. I provide student choice and guide students in choosing how to brainstorm. For students who simply do not know what to write, I use a basic web. I ask those students to think of every idea, and then I sit with them to guide connections and understanding. When students are torn between two topics, I give them a graphic organizer with “option one” and “option two.” Both boxes then contain other smaller boxes for main points. I ask students to complete it and then show it to me or a friend. Simply the act of verbalizing both options typically helps students decide. They are not repeating ideas. They have enough ideas to support the claim. They feel passionate about the paper. Throughout the entire writing process, I strive to give students choice. With the introduction, I ask them if they want to be on the serious side or on the abstract side. What tone best describes my introduction? These types of questions shape students’ ideas about how to write an introduction. Students may not consider their tone before writing the paper, but when they have that idea planted, that knowledge shapes the rest of their paper. Students not only have fun answering these questions, but the odd thinking forces them to look at their introductions in unusual angles. 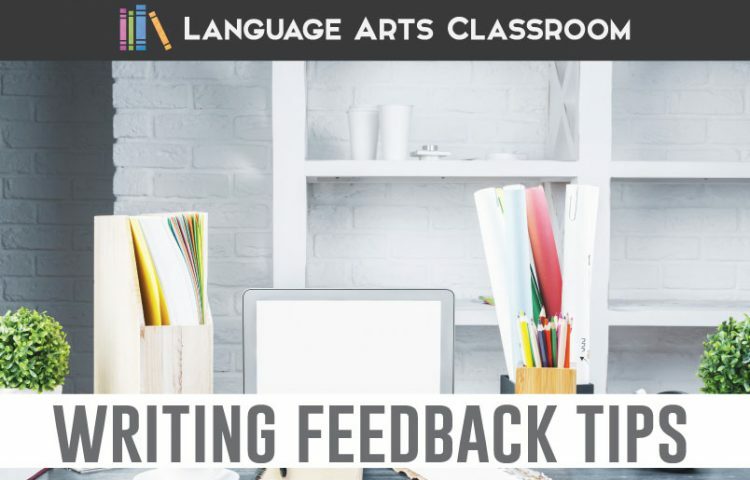 Plus, the class discussions often excel with abstract questions, and the writing of the introductions becomes more of a collaborative effort. Later, if students dislikes their introduction, I will give them the other introduction graphic organizer (different from what they had at the start) to help them spruce and change the introduction. Once we have organized our papers, we write. Throughout the writing process though, I do again provide graphic organizers where necessary. We look at each sentence and discuss how that sentence conveys the message. 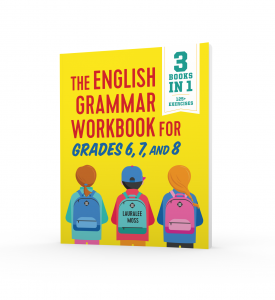 We look at verbs and subjects and question if there is room for improvement regarding word choice. Sometimes, students do not have a sentence that conveys the voice they want their audience to pick up on. We work on fixing that aspect. Put the sentence back together. Of course students will not use all of those components! However, they did learn that words matter and can apply those ideas to other sentences. Similar to the introduction, I ask students if they would prefer an abstract or serious conclusion brainstorming sheet. What was an important idea I shared? To what idea do I have an emotional connection? Really get students thinking away from rewriting their introduction. Ask them, “now what?” You wrote this paper, and you want your reader to leave with an impactful statement. How can you best do that? Who should do the voice-over for my conclusion? Honestly, students will talk and examine why they answered those questions the way they did. Those lighter questions also allow you to tie the previous work on voice to the conclusion. 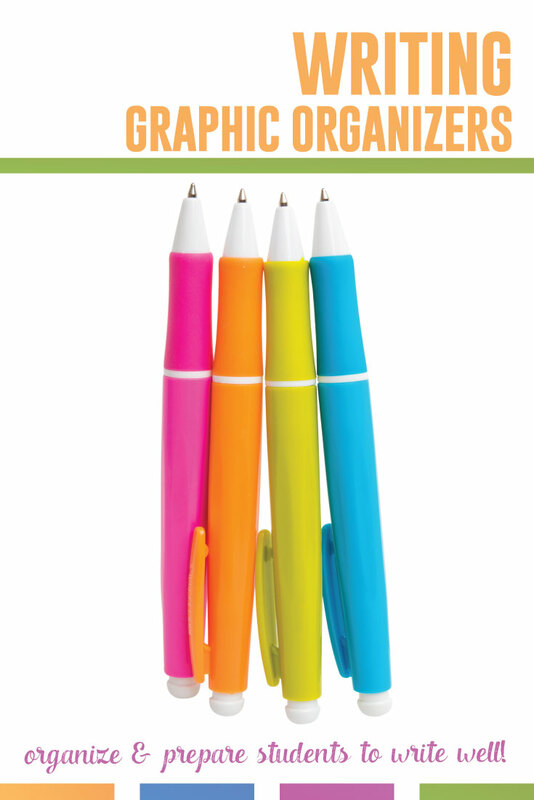 You can make graphic organizers with images from the web for your personal classroom. Add the images in a Google Doc. Insert squares or other images in Slides. Move the images and add directions for your students. The largest growth area? Students are less frustrated and show more confidence. 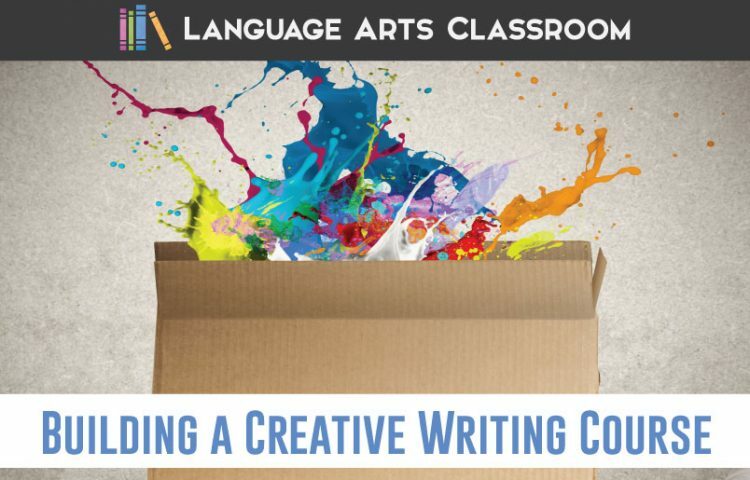 When we brainstorm before beginning, when we discuss expectations and define the traits of writing, students have better attitudes toward writing. They are also more likely to participate in revision activities. 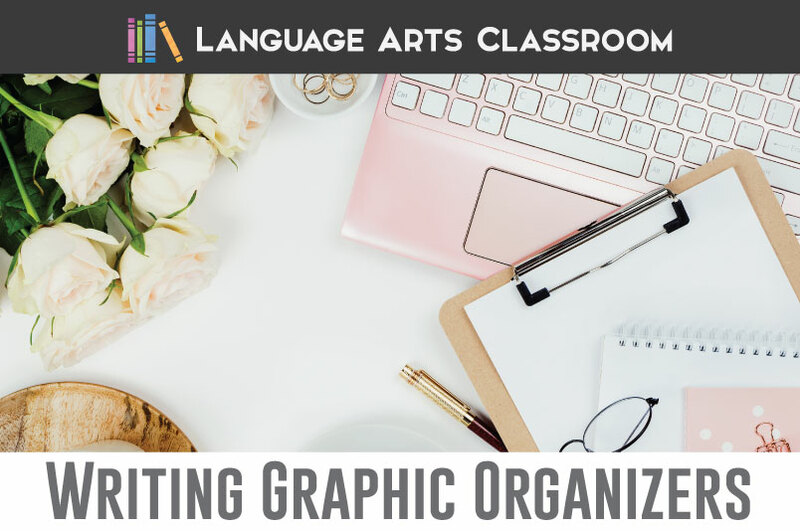 Graphic organizers can help any writer, but they can be lifesavers for anxious or struggling writers. Students crave various approaches, and I aim to give them unique and scaffolded ones. I hope this post inspires you in your lesson planning and classroom creations. You can also look at my writing graphic organizers. 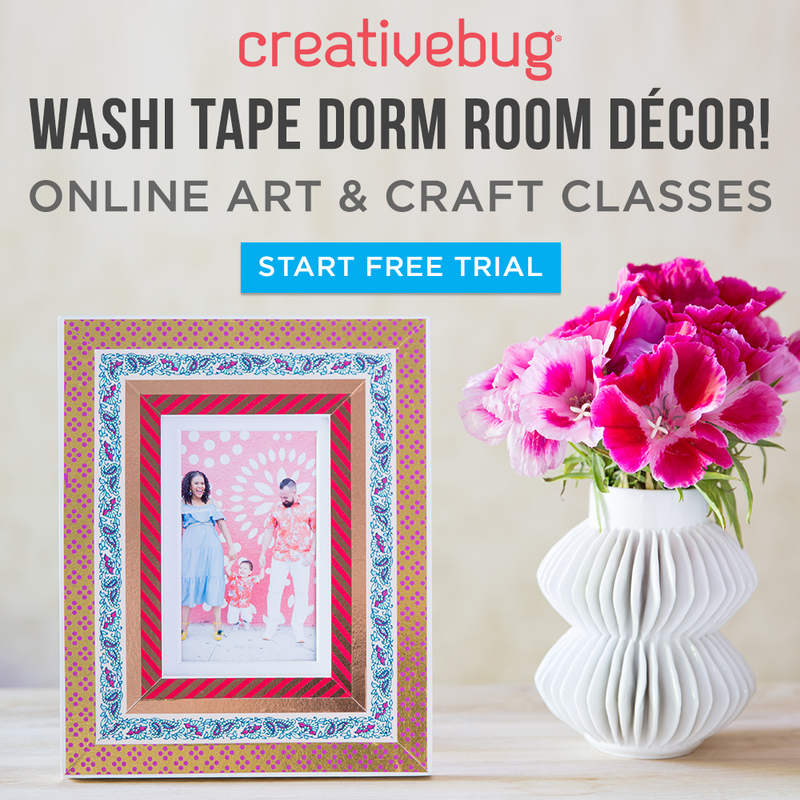 Subscribe and receive updates, freebies, and specials.